"Constitutional drafting in Latin America: a quantitative perspective"
existence of shared concerns and experiences, such as American hegemony or a legacy of strongman rule. 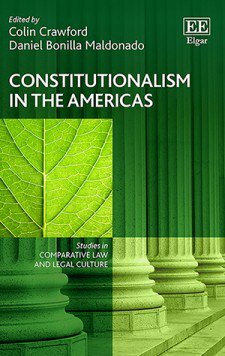 This chapter offers an empirical overview of constitutional drafting patterns and trends in Latin America over the last 60 years. We use various quantitative measures and indices of constitutional content to contrast Latin America with other regions and shed light on whether and in what ways constitutional drafters in Latin America have responded to frequent concerns such as excessive American influence, overconcentration of executive power, and human rights abuses. Section II examines the extent to which Latin American countries continue to use the U.S. Constitution as a model for their own constitutions. In both scope and substance, Latin American constitutions are becoming increasingly dissimilar to the U.S. Constitution over time. Indeed, not only has Latin America become increasingly divergent from the model of the U.S. Constitution, but it has become more divergent than the rest of the world.